So, Windows Insider is getting free Windows 10 after all. There has been speculation that Windows Insiders, Windows enthusiasts who install Windows 10 Technical Preview or Windows 10 Insider Preview builds to help Microsoft tests the software, are getting free Windows 10 when final RTM build is released. Now, the freebie is more or less confirmed for participating Windows Insiders. Windows 10 is already offered as free upgrade to all computers running Windows 7, Windows 8 and Windows 8.1, if the owners upgrade to Windows before or on July 29th, 2016, the first year of general availability (GA). Windows Vista and Windows XP users may need to spend up to $199 to purchase the new license of Windows 10, according to Windows 10 price list, though Microsoft may announce promotional upgrade price for those ineligible of free Windows 10 upgrade offer. Now, there is one way to get free copy of Windows 10, that’s by joining the Windows Insider program. According to Microsoft’s Gabriel Aul, all systems running Windows 10 Insider Preview Home edition or Windows 10 Insider Preview Pro edition and connected to Microsoft Account (MSA) registered as Windows Insider will automatically receive the final RTM (release to manufacturing) build, and remain activated. Once the computer is installed and activated with Windows 10, Microsoft will remember it and allow clean install for the lifetime of the device. It’s unclear if new Windows 10 product key will be issued to Windows Insiders who earn free copy of Windows 10 license this way. Clean installation of Windows 10 requires a genuine product key, and the publicly released Windows 10 Pro Insider Preview product key to install Windows 10 is most likely blacklisted in RTM release (and appeared to be blocked since Windows 10 Build 10147). Register as the member of the Windows Insider Program. You can create a Microsoft Account here if you don’t already have one. Download and install Windows 10 Insider Preview before July 29th, 2015. 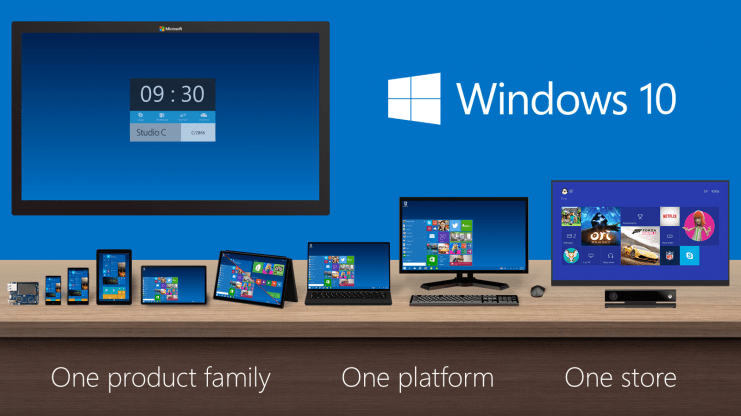 Current officially released build is Windows 10 Build 10130. This release does not force you to sign in with a MSA, but subsequent builds will have notifications to ask you to login with MSA registered with Windows Insider program. Sign in and connect Windows 10 Insider Preview to your Microsoft Account (MSA) used when registering for Windows Insider program. Wait for Windows 10 RTM release to deliver to the computer on July 29th, 2015. Repeat steps above for other computers that you want to get free activated Windows 10. Note: Microsoft does not specify if one MSA is allowed to register multiple computers. So to be safe you can use multiple MSA if you have more than one devices. That’s it. Once you’ve done the steps above, the device will entitle and eligible to Windows 10 and all subsequent updates to Windows 10 for the lifetime of the device. You only need to do this if your device is running Windows Vista, Windows XP, Linux, Mac OS X, or is new computer or virtual machine, and you want the device to run Windows 10. It’s unclear if Microsoft will stop the sign up process for Windows Insider Program after Windows 10 is RTM. But if it’s not, it may mean that you can always get free Windows license, RTM or preview, for your computer at anytime. It’s also worthwhile to note that Windows Vista and Windows XP does not have direct upgrade path to Windows 10. You have to do a clean installation of Windows 10, as there is no way to upgrade and keep your files, settings and programs. Do also check if your system meets the Windows 10 system requirements. Enterprise edition of the Windows 10 Insider Preview is not entitled to free upgrade to final release of Windows 10 Enterprise. To do so, you will need to download and activate it from Volume Licensing Service Center through an active Software Assurance agreement. For Windows 7, Windows 8 (please upgrade to Windows 8.1 first) and Windows 8.1 users, just follow the steps to reserve your free Windows 10 upgrade. Update 2: It appears that Windows Insider does get free Windows 10 license for the PC that is running the preview builds. Update 1: Microsoft has discreetly removed the “remain activated” wordings from the blog post. Gabriel Aul has since updated the post and tweeted to clarify how to get free Windows 10 license. In short, it’s still possible to get free Windows license, that’s by continuing to participate in Windows Insider program and receive future preview builds, which will continue after Windows 10 is RTM. If you want to stay at RTM build of Windows 10, you must have valid license of Windows 10, one of which is free upgrade offer for Windows 7 SP1 and Windows 8.1 users.